I'm follow a tutorial to create a low poly environment. So I have to make mountains... 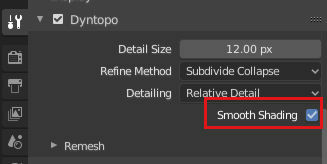 I go to Sculpt Mode and activate Dyntopo [ resolution : 7.00 / Refine method : Subditive Collapse / Detailling : Constant Detail] and when i try to do a picks It becomes smooth. Dynamic topology has an option to enable smooth shading, enabling this turns on smooth shading for the entire mesh. I had the same problem when following the tutorial. These settings seemed to work for me. 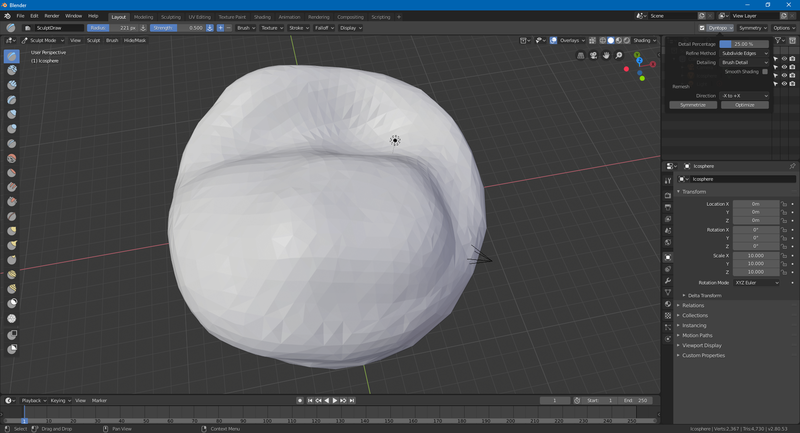 Why doesn't smoothing work in sculpting mode? 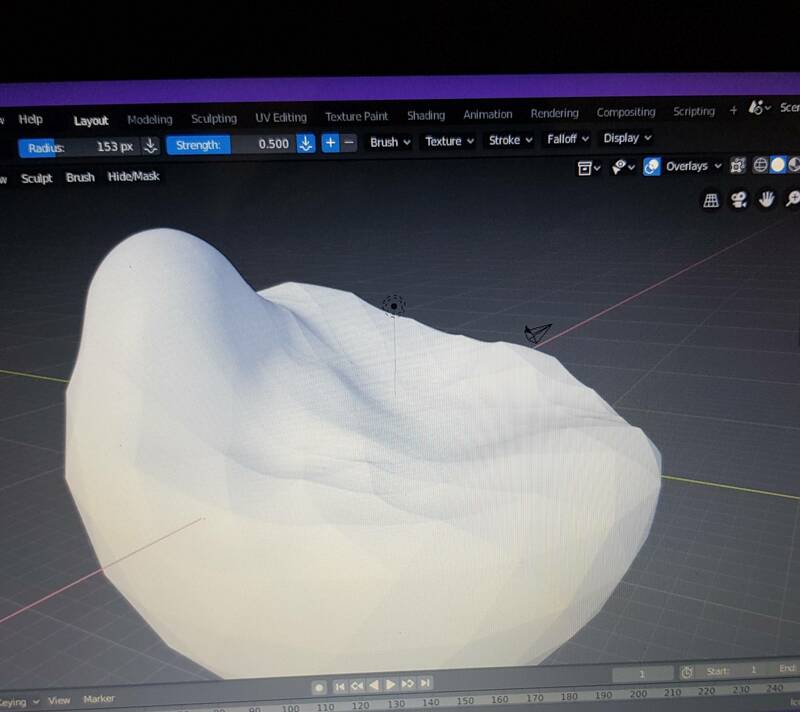 Is there any "Show Brush On Surface" option in sculpt mode? Sculpting with texture as a mask?